Our mind rides on a stream of thoughts and emotions seemingly manufactured endlessly, and given that each of us creates in the neighborhood of 60,000+ thoughts each and everyday, endless may be an understatement. We are awash in our thoughts, awash in our emotions, all simmering and bubbling in a mind-soup, a tangy concoction of past experiences. These hopes, fears, judgements and assumptions existing below our awareness direct our actions and turn our emotions on and off with little consciousness input from us. It’s both amazing and scary at the same time. Distractions often engulf us as if we are being overwhelmed by a powerful force. 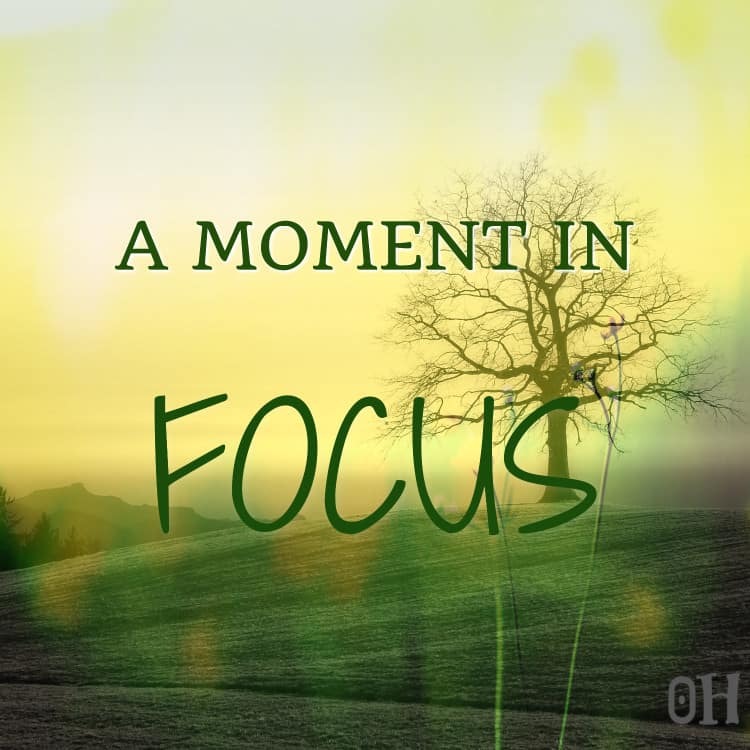 And in a sense when a distraction grabs our focus we are at the mercy of our thoughts, engulfed by our subconscious. From deep within ourselves we start walking away from our intended focus. We think and do things counter to what we’ve told ourselves. The encounter with our ravenous subconscious thoughts often muddies our clarity and erases our awareness. It’s often easier to go with the flow when we encounter thoughts emotionally charged with craving, grabbing and desire, then it is to stay our ground and remain focused. It can be easy to convince ourselves we are listening to another, when in fact we are only looking at them while our thoughts zoom here and there within our skull. It’s not our job to decide if what they are talking about is important or relevant to our lives. Our job, our commitment is to actively focus with our best listening skills in full engagement. Otherwise we should excuse ourselves, and go home to watch TV, or find another activity requiring only passive attention. Our minds constantly distract our attention and will dissolve our focus unless we actively train it to ignore the caustic judgements and assumptions dancing to and fro, dancing side to side in our untrained mind. Expectations seem to rise out of nowhere when we least expect them. But in reality our expectations are completely in line with our beliefs about how the world “SHOULD BE,” in line with how we see the world. But expectations can be a gift when we notice them, we can ask ourselves why are my feelings hurt and why should that person do what I want them to do?Ask yourself, is what I see in front of what I expect to see and not what is really occurring? Every time you notice someone is not doing, saying or thinking what you think they should be doing, saying or thinking ask yourself, why am I attempting to control this persons actions, control this persons thoughts. When we ask ourselves these questions our anger, our hurt feelings and our contempt for another person often dissolves and the veil falls away from our sight. Imagine for a moment someone repeating the above quote. We all want others to listen to our thoughts, our dreams and ideas. Each of us longs to be listened to and to be understood. What’s the secret to hearing and understanding what another is sharing with you? It’s simple, FOCUS. Understanding another requires attention to that person as they speak. Hearing what’s being said is not a passive activity, it’s an active one. I wonder, how much awareness and focus do we bring to tasting what we put in our mouths. Do you think you’d notice if the next forkful tasted like a bug? Think about that for a couple of moments. We talk while we eat, we drive while we eat, we watch movies and television while we eat, we argue and debate while we eat. The one thing we rarely do while we eat is eat with awareness, and focus on what’s happening at the moment we eat. Being in the present moment while eating is a fine way to develop our focus skills. Practicing a little while eating will not only pay off while eating but will develop your focus in other areas of your life. Often we barely notice the shape or texture of the things we touch. Our nerves in most of our bodies send a wealth of interesting and sometimes vital information to our brains but because we are so often distracted we fail to notice. Try focusing a little each time you pick something up, be aware of what sensations you feel as your fingers tighten their grip around the object. What are you feeling and where does that information take you? What do you associate with the sensations? And finally, here is a kinda short video (19:00 minutes) about how our brains deal and adapt to focus. If you want to jump to the last tip (Unitasking) skip ahead to 6:07 and you can listen to Dr.Marvin Myungwoo Chun talk about why Multitasking may be the worst thing we can do to our brains and ability to focus. Focus is something that every business can benefit from in huge ways. Focus enhances thinking, communicating, direction, innovation, creativity, production and decreases stress, worry, job dissatisfaction, sick days, and general malaise associated with being unhappy and unfulfilled with your job. Focus can be learned and strengthened in much the same ways as walking or biking strengthens muscles in our bodies. It’s being actively engaged with the 3 tips ( Simplify, Relax, Unitask) from the above video that expands our focus right before our eyes and perceptions. You’ll be amazed how even 10 or 15 minutes each day of exercise can bring about deeper focus and awareness of what’s going on in your life. Craig is dedicated to helping small businesses grow and their marketing success by developing a deeper connection to Curiosity, Intention and Gratitude. Curiosity is the foundation of all business endeavors, capture curiosity and you’ve captured momentum.